Coffee Queen Keeps Busy: Happy Birthday Mom! Today we had my mom, dad, brother, and sister-in-law over for a birthday dinner. 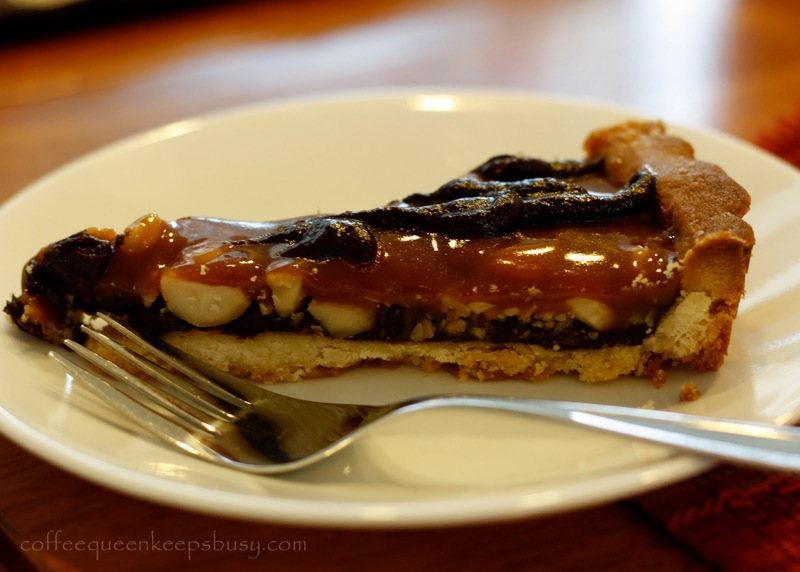 Chocolate-Caramel Macadamia Nut Tart from Bon Appetit. Ohhhh yum!